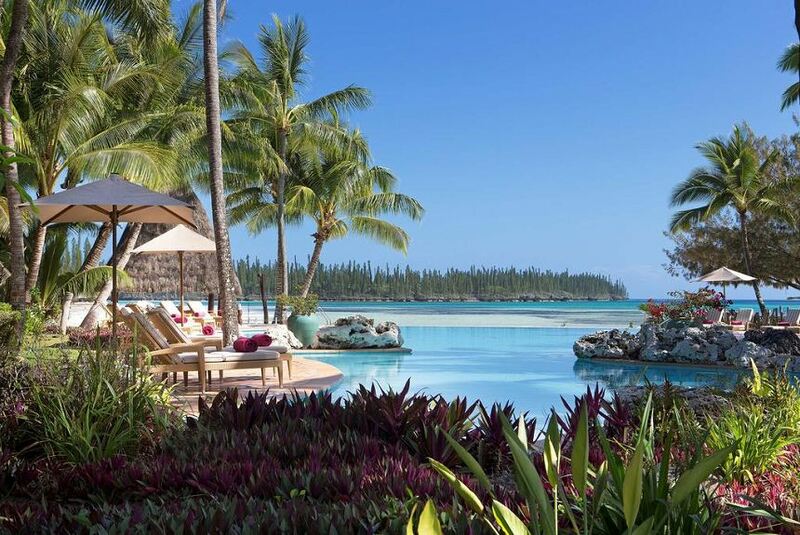 Located in Ile des Pins, this resort is a 25-minute flight from Noumea, followed by a 10-minute drive from Île des Pins Airport. Built using local wood and stone, the bungalows feature a private patio offering views over Oro Bay or the tropical gardens. The hotel rooms are located in the grand guestroom pavilion and feature a private balcony. Guests enjoy 24-hour room service, water sports facilities and free use of kayaks and snorkelling equipment. The resort offers multilingual staff able to assist with a variety of international guests. La Pirogue Restaurant serves French and Melanesian dishes using fresh seafood and handpicked herbs. You are welcome to enjoy a free drink at La Boussole Lounge Bar upon arrival.